• View topic - Brett men at arms in stock? Brett men at arms in stock? Hey. Has anyone seen a box of plastic men at arms in a shop lately. I would love a box. Re: Brett men at arms in stock? Hey up, they stopped making them a long time ago. The only chance you have is a second hand sale. 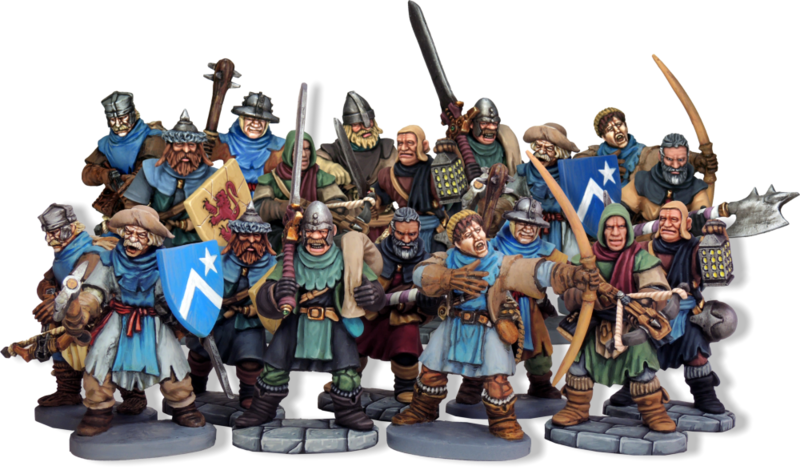 And if you need summink that is a more "true scale" than the GW Brets, but the same sculptors, what about the Perry War of the Roses plastic figures? I turn them into Inquisitorial henchmen.